Two months after Hurricane Maria, devastation and neglect are Puerto Rico’s new normal. Two months after the storm, the island is still in a state of devastation, and Puerto Ricans feel forgotten. Magda Rodriguez and Jaimy Liz Villarini sit in candlelight at their home, after Hurricane Maria hit the island and damaged the power grid, in Vega Alta, Puerto Rico, on Oct. 30. SAN JUAN, Puerto Rico—These days in Puerto Rico, life is conducted on a farmer’s hours. Get up at sunrise, operate during daylight, and return home before night falls. Some merchants are now able to take credit cards, but cash is king. Planning is reduced to the next 24 hours: how to get power, gasoline to fuel the generator, ice, cash, and a phone signal. At night, the constant hum of generators blends with the clarion calls of the onomatopoeically named coquí frog. Traffic signals don’t work, and electric repair crews are greeted with applause at their destinations. The warm waves lap up on the shores, but many beaches are not clear of debris or contamination. The salsa bands play in the hotels that have power but no longer on most of the now-darkened street corners of the capital. It’s been two months since Hurricane Maria made landfall in Puerto Rico on Sept. 20, and daily life is still a grind on the island with a new slate of problems for residents on the ground and scant progress on the horizon. In the days immediately following the storm, there were demands for the restoration of electricity and modern conveniences, but now there seems to be a resignation of a new normal. Despite Gov. 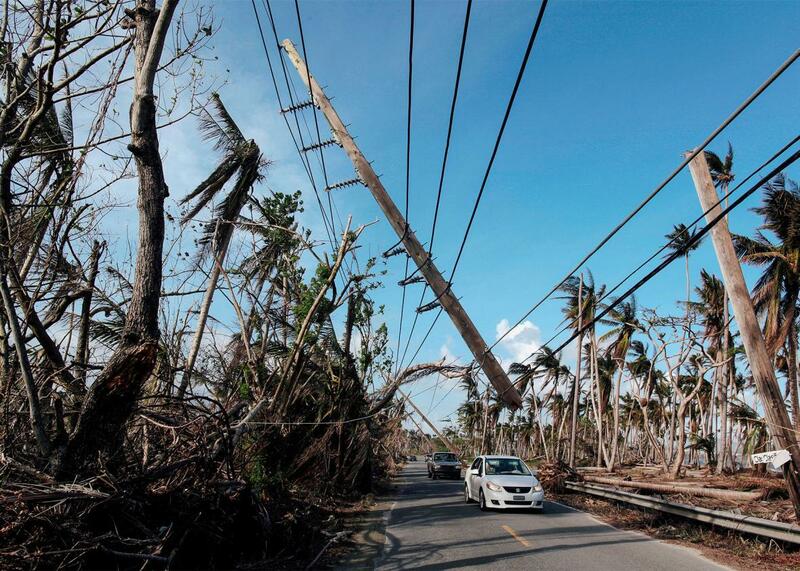 Ricardo Rosselló’s optimistic promise of getting 100 percent power back by Christmas, most people have accepted that this will be a Navidad without lights. In San Juan, some have been without power since Hurricane Irma passed on Sept. 7. Each week, there seems to be an outage that rolls back the progress in power generation like a wave erasing a sand castle. The unrelenting electrical issues seem like a cruel farce to residents. 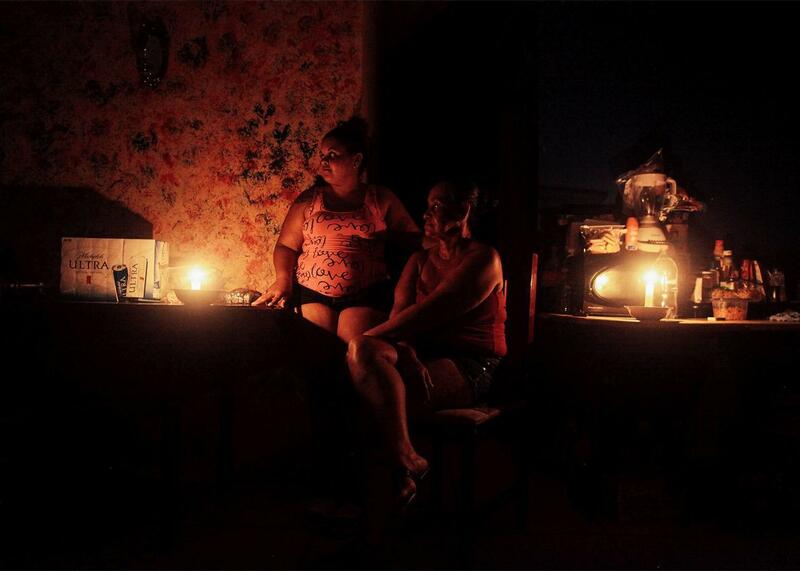 Minutes after the governor announced in a press conference Wednesday that electric generation had reached 50 percent, a power outage affected the north of the island, crippling San Juan and forcing the closure of several shopping centers, where those living without power or air conditioning shop and take refuge. On Nov. 8, there was another interruption on that same power line, which curiously was one serviced by the controversial Whitefish Energy Holdings. The Status.pr page states that power generation was up to 46.6 percent of capacity as of Monday. But generation is one thing; distribution is another. Federal and local politicians engage in finger-pointing, but power is not yet substantially restored. “We need a tent over the whole island,” said an employee of the municipality of Dorado. “It’s already a circus.” The controversial head of the electric authority, Ricardo Ramos, quit on Friday. Herbert Shapiro owns a Serta mattress factory near San Juan. He had to suspend production as the hurricane approached and retool after. “The island is not going to sink into the sea,” he told me. “I just hope to make money for the next couple of years.” Shapiro has family in Boston and an apartment in Florida, but he is staying put. According to the Federal Emergency Management Agency, Hurricane Maria destroyed 70,000 homes in Puerto Rico, and that may be a low estimate: Many still have not been visited by the agency. According to some estimates, the blackout caused by damage to the tattered power structure is the largest in U.S. history. Cars drive under a partially collapsed utility pole in Naguabo, Puerto Rico, on Oct. 20. Those with chronic health conditions who are dying for lack of proper care are not counted as official hurricane deaths, but the island’s forensics institute reported 472 more deaths in September compared with the previous year. Also, the Department of Labor noted a loss of 29,000 salaried jobs between August and October, not counting the farming sector. In these mountain towns, which were pulverized by the 150-mile-per-hour winds of Maria, daily routine is an exercise in triage and working the economics and logistics of the new normal: getting fuel for the generator (if you have one) to produce electric power for a few hours daily, obtaining cash to buy the fuel and ice, and consuming gas to travel to one of the spots where cellphones can get a signal. For some still without water, a drive across town is needed to shower. Felix Arroyo is a farmer in Barranquitas. He says he earned $32,000 in 2016 picking and selling recao, an herb similar to cilantro used for sofrito seasoning. This year, Maria’s winds flattened his plantain trees and uprooted the recao. He has to start from scratch, but the trees and grass are sprouting again. He goes outside and brings a new clump of the herb in his hand. Puerto Ricans were leaving the island in droves before the storm hit, and the process of out-migration is likely to accelerate now. In the “should I stay or should I go?” decision that boricuas face, they must consider the insolvent government of Puerto Rico, the dysfunction of the authorities’ response, the recurrent power outages, and an economic crisis that was dire to begin with. An estimated 150,000 Puerto Ricans have already left, with an estimated 2,000 arriving every day in central Florida. These American citizens should constitute a formidable voting bloc in future elections.